T-RQ Omega-3 also known as the “brain booster”, Omega 3 with DHA plus EPA is essential in maintaining healthy functioning of the brain. This formula, which comes in six delicious flavors, is designed to help adults get their daily intake of DHA/EPA Omega-3. T.RQ Omega 3 – Also known as the “brain booster”, Omega 3 with DHA plus EPA is essential in maintaining healthy functioning of the brain. 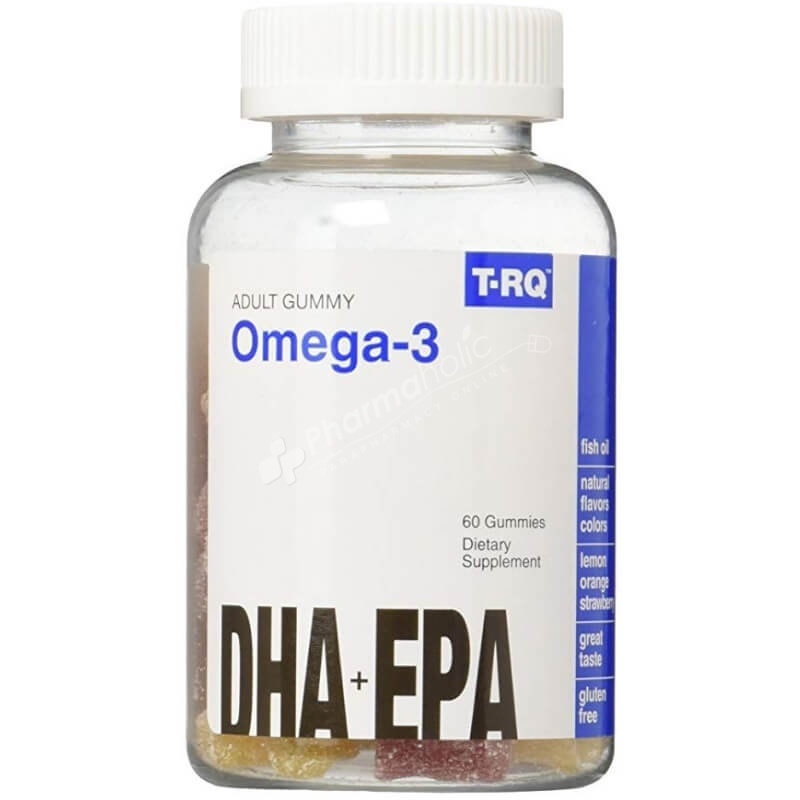 This formula, which comes in six delicious flavors, is designed to help adults get their daily intake of DHA/EPA Omega-3. A healthy mind equals a healthy body. Glucose syrup, sucrose, water, pectin, fumaric acid, citric acid, natural flavors (lemon, orange and strawberry), colors added (black carrot juice concentrate and turmeric).